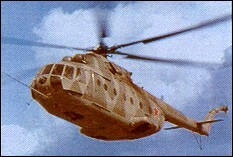 Mi-17 with 0.9m fuselage extension, retractable undercarriage and modified cabin doors. Prototype only. need pilot headset for MI-8/17 Helicopter Russian make Headset....100 nos. The Mi-17 carries most drugs of any helicopter in Central Asia. Could you let me know the length overall of Mil Mi-8 and Mi-18 helicopter? The first photo and the first drawing are obviously of Mi-17 not Mi-18. There is side fuel tank appears on the fuselage which does not appear in Mi-18 in others photos. alternative after the sudden death of my beloved parents during the crisis in my country sudan. I have been in a very big difficulty on how to safeguard the money they laboured for me which is presently in a bank and the amount in question is $3.7millionUSD. I will explain to you fully and God will always bless you for your help which I know you shall never regret as i am going to take you as my caretaker.I am waiting inpatiently to read from you.